Got Milk? Or Calcium Supplements? Or Neither? Calcium, so essential to strong bones and teeth, as well as nerve transmission, muscle contraction and blood clotting, can be in short supply as we age. Exactly how much is needed of this important mineral, and Vitamin D, its companion to ensure optimal absorption, has been the subject of intense scrutiny over several decades. However, a clear cut consensus has yet to be reached from data that is by turns contradictory, reassuring or confusing. A cluster of respected studies have cast doubt on the efficacy of calcium – either in supplements or from dietary sources – in reducing the risk of osteoporosis or bone fractures. Some reports cast supplements in an even more negative light, pointing to potential side effects that range from gastrointestinal issues to increased risk of cardiovascular disease. 1992: Over 18 months, a trial of elderly French women finds the number of fractures was reduced by up to 43 percent among women treated with 1200 mg of calcium and 800 units of vitamin D daily. In subsequent years, the significant levels of vitamin D deficiency of the subjects in this study created uncertainty about applying the results to healthier adults. 1994: Guidelines vary. National Institutes of Health recommends 1500 mg of calcium and 600-800 units of vitamin D per day for post-menopausal women; Institute of Medicine recommends 1200 mg of calcium and 400-600 units of vitamin D daily for those over 50. 2006: Fracture risk not reduced. A report from the Women’s Health Initiative showed that 18,000 postmenopausal women who took calcium supplements and vitamin D were no less likely to break their hips than an equal number who took a placebo pill, although the density of their hip bones increased slightly. 2012: No-supplement recommendation. The U.S. Preventive Services Task Force, a panel that advises doctors on matters of public health, stated there is not enough conclusive evidence to recommend taking calcium or vitamin D supplements to prevent fractures in healthy women. Confusing, to be sure. While the optimal dose has yet to be determined, today’s best guidelines call for calcium intake below 1,600 mg a day for women over 50 and men over 70, and 1,000 mg a day of calcium for those under 50, along with appropriate amounts of vitamin D to enhance absorption. However, experts agree, more is not necessarily better, and supplements should be considered only if the daily goal cannot be met through food sources. 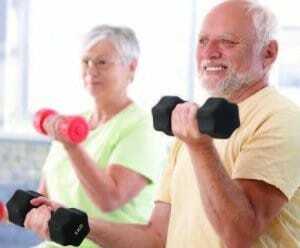 In addition, strength training, for arms and upper spine, and weight-bearing exercise such as walking or stair climbing, for legs, hips and lower spine, are essential to build and maintain bone density. Remember: every patient has different needs, and these can change over time. The post Got Milk? Or Calcium Supplements? Or Neither? appeared first on Specialdocs Consultants. Concierge medicine, also known as membership medicine, is an alternative practice model based on a relationship between a patient and a primary care physician in which the patient pays an annual fee or retainer. In exchange for the retainer, doctors provide enhanced care by limiting their patient panel to ensure direct availability and adequate time for each patient. Extended, unrushed visits enable physicians to spend meaningful time with patients, build relationships, and provide more comprehensive, proactive care than in traditional practices.